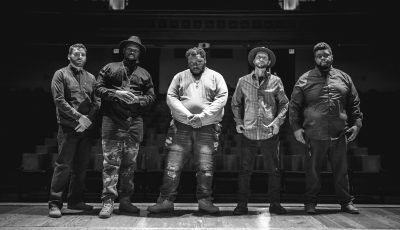 An Interview With The Long Island Rockers, MAKESHIFT! Since the band’s formation in early 2012, Makeshift has been steadily making a name for themselves throughout the east coast DIY pop punk scene. 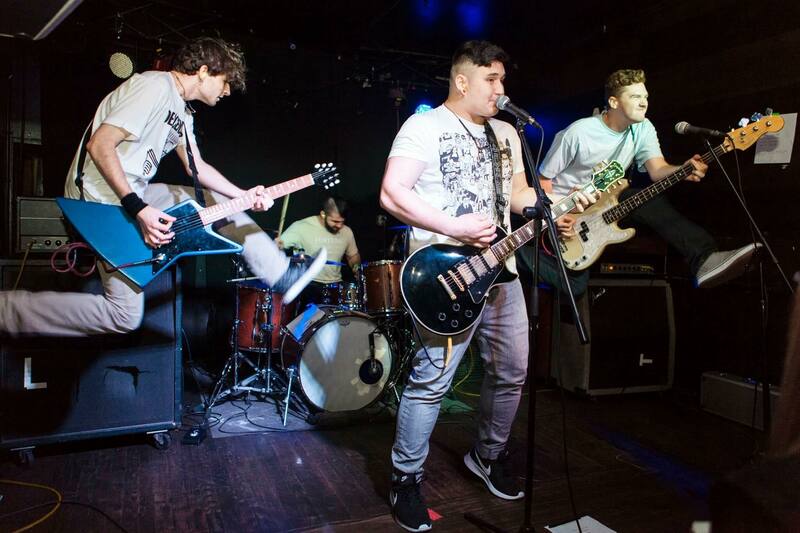 Coming from Long Island, the band follows in the footsteps of other genre defining bands such as Brand New, Taking Back Sunday, and Bayside. 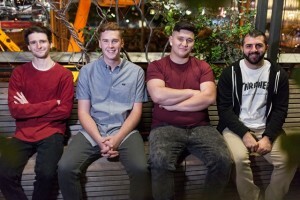 Taking influences from those as well as newer pop punk and alternative rock bands, Makeshift’s goal is to give something new and refreshing to the scene. Since releasing their Better Off full-length in 2014, the band has performed at the Ernie Ball stage at the 2015 Vans Warped Tour, Today’s Mixtape Festival, and Launch Music Conference plus tours along the east coast. With their new record, Morale, due out in January 2017, they intend to continue on their path of ingenuity. Thanks for your time! Now that 2016 is over, what are some words you would use to describe the year? What have been some of the highlights for the band? What are you most excited about for 2017? Did any of you make New Year’s Resolutions? 2016 has definitely been a great year for the band and for a lot of us personally. I think the main highlight of 2016 was probably tracking our new record and getting everything ready for the release. It’s been a whirlwind of a year and we’re very proud of what we’ve come up with. Growing up, did you all always want to be musicians? Can you recall some of your first musical memories? I think music has always been a huge part of a lot of our lives. Growing up, I was always surrounded by my dad playing different records in the house and building guitars. My first two concerts were blink-182 and Green Day about two weeks apart from each other and that kind of did it for me. How did Makeshift first get together? Why do you think you all work so well together? 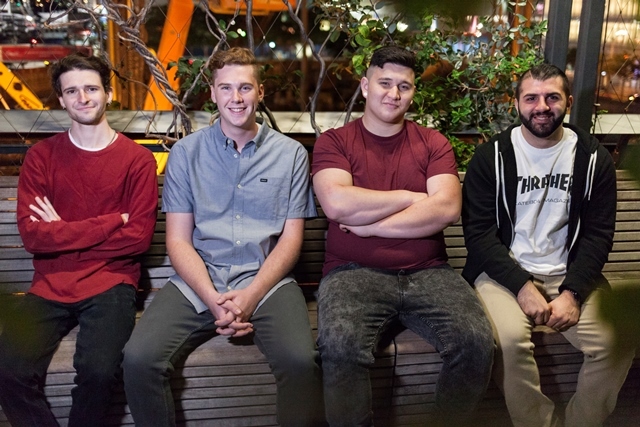 The first lineup of Makeshift was formed from a group of Andrew and Austin’s friends in high school. Andrew and Austin have been in bands together since their early teen years, and the band kind of just formed around that. I joined Makeshift a few months after the original lineup was put together. 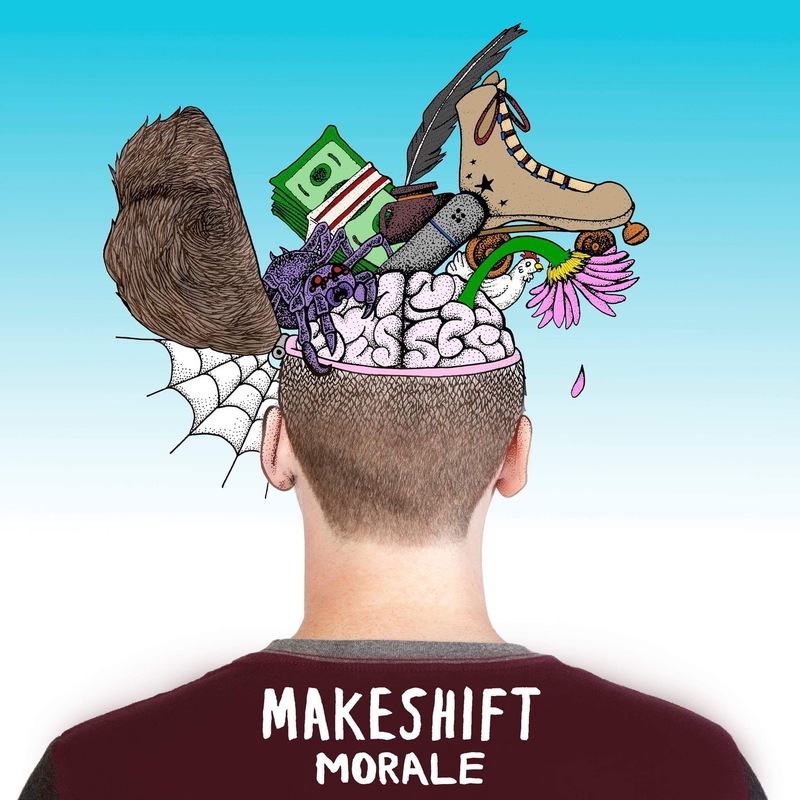 Next week, you will release your forthcoming EP, “Morale.” Can you talk about putting that collection together? Where did the inspiration for these songs come from? I have read that it’s considered to be your most mature release to date. Why is that exactly? This release has been a long time coming for us. We took a break from writing for almost a year because we had some aspects of the band start to pick up, but when we were ready to sit down and write this release these songs felt right. This is by far our most mature release because we are now more experienced personally and musically. 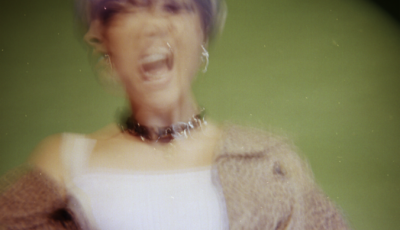 We have more interesting experiences and feelings to write about than ever before, and we have more experienced techniques that we can use to put those experiences to music. Makeshift hasn’t released anything since your 2014 album, “Better Off.” Can you talk about the time after that? Have you been working on “Morale” since then? Or have you been doing other non-musical things? I wouldn’t say that any non musical aspects of life really got in the way of the band. 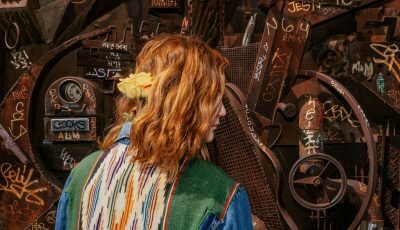 We’ve all been going to school and working but it was never an idea of “we need to take a break to get these things done.” After “Better Off,” as I said in the previous question, a lot of things started to pick up with the band. We went on our first tour, we got to play the Ernie Ball Stage on the 2015 Vans Warped Tour, we played Today’s Mixtape Festival that same summer, just to name a few. You just started touring a few days ago so I’d love to know how it’s going so far? Where are you excited to play at next? How have the shows been so far? What’s the most challenging thing about life on the road? Tour so far has been awesome! We’re playing in Charlotte, NC tonight. I’m very excited to play Mays Landing, NJ and of course our hometown show. South Jersey has always been great to us whenever we go there and there are some awesome locals on that show. How do you think Makeshift has grown and changed since you formed in 2012? What has remained constant? To be honest, I don’t know if too much has remained constant. I think that we are more driven, creative, motivated, and excited about the band now than we’ve ever been. Throughout the years we’ve just matured so much which you can see in our music. The subjects that we write about and how we express those subjects is more in-depth and mature than our previous releases. Who are some of your favorite artists and what bands continue to inspire you and your music? Who would you all still love to work with in the future? Some of my favorite bands right now are Hungover, Grayscale, Keep Flying, Viewpoints, and Giants At Large, to name a few. Obviously the big ones like Blink 182 and Green Day continue to be huge influences on our music. I’d love to work with any of the bands listed above in the future. I think they’re all bands that are on the serious come up and bands that we’d mesh well with. When people listen to our music I want them to know that regardless of what they might be going through, they are not alone. Everyone goes through rough points in life and life is about getting past those rough spots and coming out stronger. Take that negative energy and put it towards something positive. I like to unwind by hanging out and watching different shows like The Office or different comedy specials on Netflix, and probably falling asleep 5 minutes in. Austin and Matt like skateboarding and Andrew is really into reading different comic books. Is there anything else that you would like to share with our readers regarding yourself or your music? Be sure to check out our new EP “Morale” which dropped on January 13th. Keep up with us on instagram, twitter, and facebook! Thanks to All Access Music for having us, we hope you guys dig the new tunes! An Interview with The Fashionable, Avant-Garde, Gender-Fluid Brothers Known As THE FAME RIOT! ALLURI Discusses His Indian Background, The Music World in London, Working With Producer Tomasso Colliva and More!